The more recent versions of PS3 and PSP firmware have a very cool function called "Remote Play." 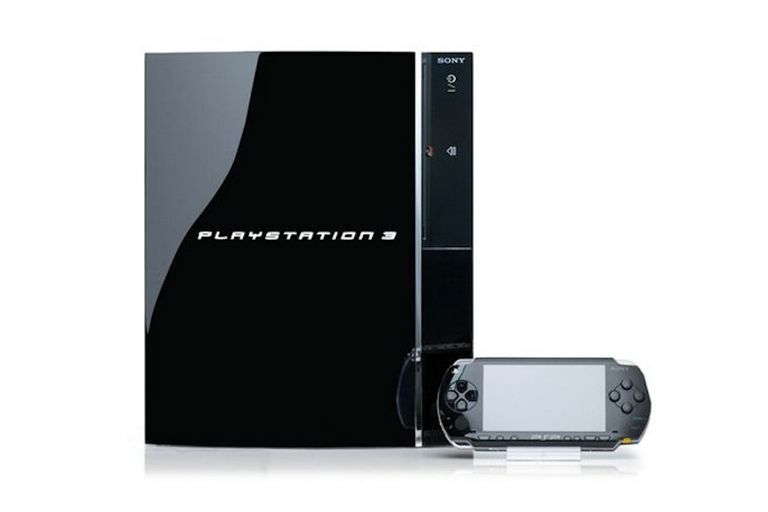 This lets you access most of your PS3 content via your PSP, so you can watch your movies, play music, and even play many games by using your PSP to connect to your PS3. Pair your PSP with your PS3. Connect your PSP to your PS3 with a USB cable and select "USB Connection" from the "Settings" menu on your PSP. On your PS3, navigate to the "Settings" menu and select "Remote Play Settings," then select "Register Device." Once you see the "Register Completed" message, your PSP and PS3 are paired and you can disconnect the USB cable. To use Remote Play locally (with your PSP within range of your PS3's WiFi), navigate to the "Network" menu on your PS3 and select "Remote Play." Ignore the sign-in message on your PS3 (this is for connecting over the internet). To use Remote Play via the internet, skip to Step Five. Switch to your PSP and navigate to the "Network" menu and select "Remote Play." Select "Connect via Private Network." If you've already put your PS3 into remote play mode (which you have if you followed the steps above), ignore the reminder that comes up and select "OK." Select "PLAYSTATION(R)3" from the menu. After some connection screens, your PSP display will change to a mini version of your PS3's XMB (or home menu). Your PS3 will display the message "Remote Play in Progress." You're now browsing your PS3 via your PSP. To use Remote Play over the internet, first sign into your PlayStation Network account on your PS3. Then navigate to the "Network" menu and select "Remote Play" on your PS3. Go to the "Network" menu on your PSP and select "Remote Play." Then select "Connect via Internet." You'll be prompted to sign into your PlayStation Network account on your PS3, which you've already done if you're following the steps above, so select "OK."
A list of network connections will be displayed on your PSP. Select the one you use to connect your PSP to the internet. (Do *not* select PLAYSTATION(R)3.) You will then be prompted to sign into the PlayStation Network. make sure to sign in with the same account you used for the PS3. Your PSP will load, then show a mini version of your PS3's XMB (home menu). Your PS3 will display the message "Remote Play n Progress. You're now accessing your PS3 via your PSP. When you're ready to disconnect, press the home button on your PSP and select "Quit Remote Play." Disconnect the PS3 by pressing the circle button on your controller. There is some content on your PS3 that you won't be able to access with your PSP. Movies downloaded to your PS3 from the PlayStation Network won't play, and most PS3 games won't work, either. You should be able to access your own videos and music, as well as PSOne Classics games (either on a disc in the PS3's tray or stored on the HD). A PlayStation Network account is free. Simply select "PlayStation Network" from the "Network" menu on your PS3 and follow the instructions.